2) Graduted Overton High School, Nashville Tech in Architectural Engineering Technology, Attended University of Tennessee at Knoxville School of Architecture and David Lipscomb University in Marketing and Ethics. 3) Began investing in Real Estate in 1978 at the age 20 with partners purchasing single family and multifamily properties acquiring approx. 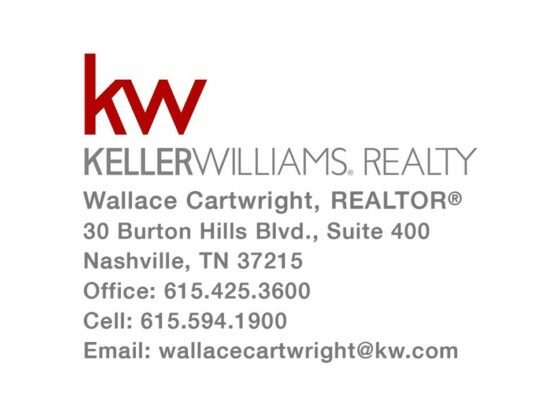 150 units at the age of 25, started Cartwright Realty in 1983, later with Wallace Cartwright Co. Real Estate Services. For seven years HUD Contracted me as a Real Estate Asset Manager in thirty Tennessee Counties. 6) Board member of Mockingbird Retirement Community for the hearing impaired a non-profit. 7) Co-Founder and Chairman of Friendship Homes, Inc. a non-profit safe haven for families in need. 8) Hobbies include travel, golf, and meeting people.